Sarah curated outreach and educational materials collaboratively and individually while leading the UH Office of Sustainability. 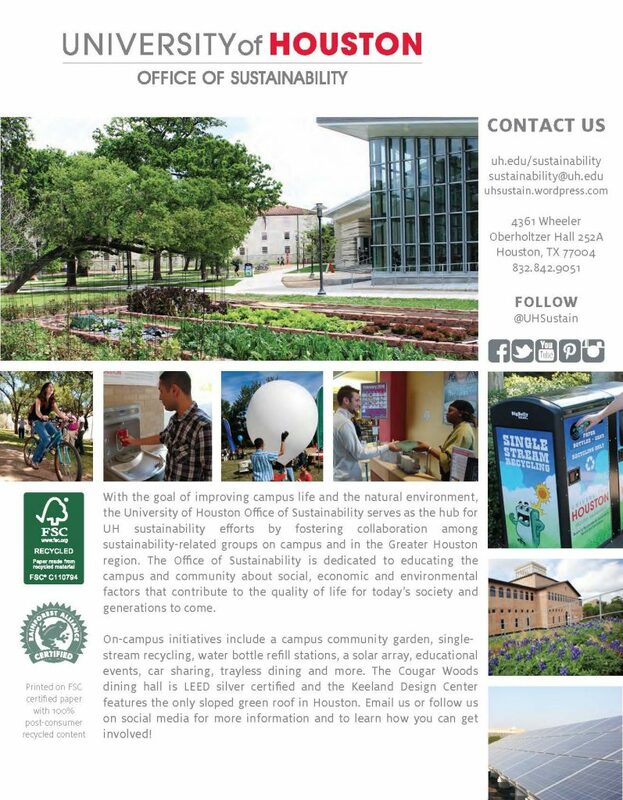 Two flyers are included below, one was used for general outreach and the other to promote the biggest annual sustainability event at the university, Sustainability Fest. 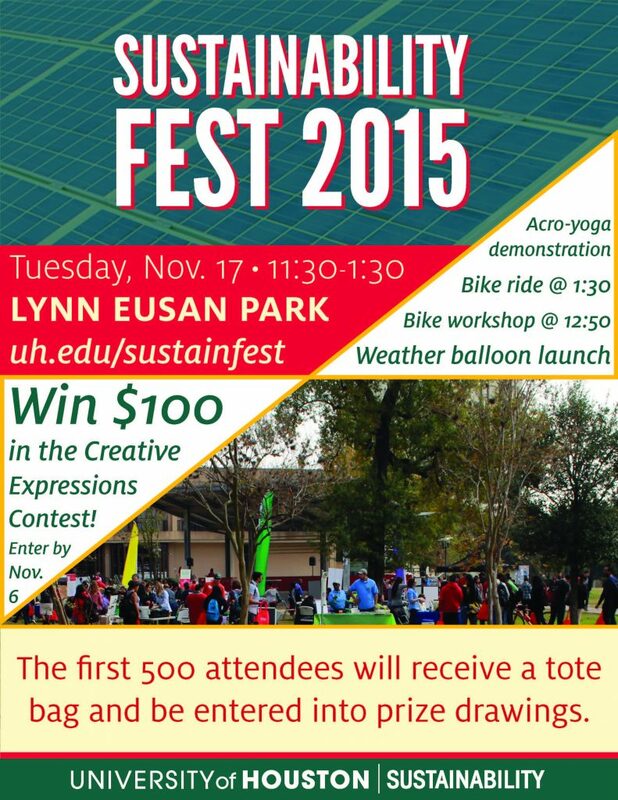 You can view more of Sarah’s work by visiting uh.edu/sustainability. The website has only been modified slightly since she left this position. Sarah developed most of the web content, site organization, events, and programs included. View the news releases from 2014-2016 for a sense of the far-reaching impact her work had on the campus and Houston community.